“Let’s go for a run before they start the car,” I suggested. My friend looked at me with disbelief as I flashed past her. But she couldn’t help but join me. We cut through the cold air while the sun shone brightly above us. We only ran for a minute or two on the Gulmit Bridge under which runs the Gojal River, surrounded by the towering Passu cones. It was liberating to be able to run on the Roof of the World. Behind us, our guide was getting us registered at a checkpoint near the bridge entrance. I don’t remember the last time I actually went on a run in Pakistan, but it was definitely not on a bridge in broad daylight amidst passing traffic. That seemed almost impossible in Pakistan… or was it? Little did I know that just beyond this bridge lay a village that had the answers to my yearning for freedom and equality. Our journey to Hunza started in Lahore on March 18. 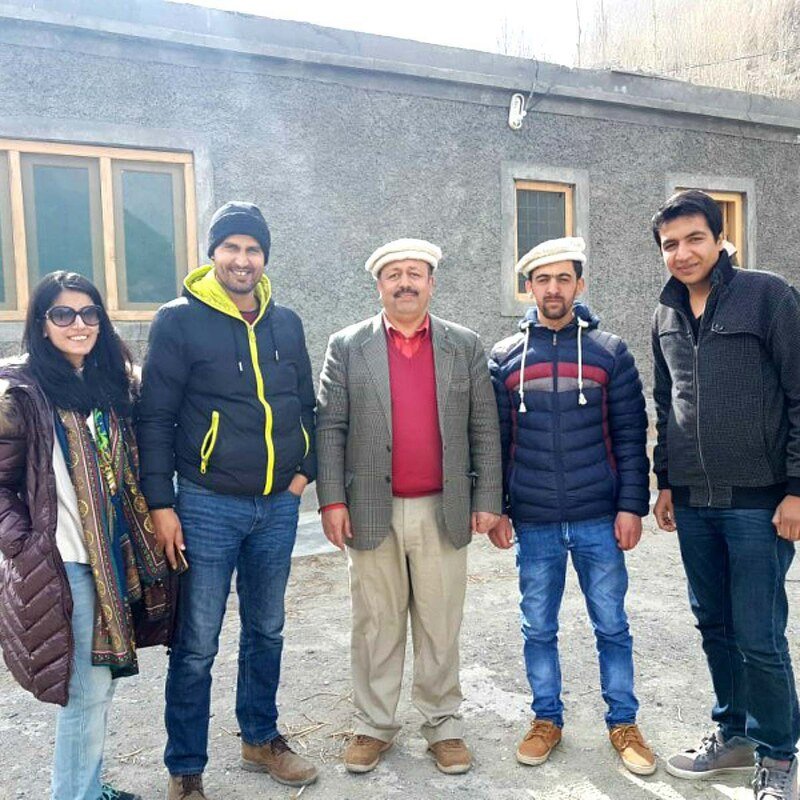 We broke our trip at Chilas for a night’s stay and went to the Hunza View Hotel in Karimabad the next day. 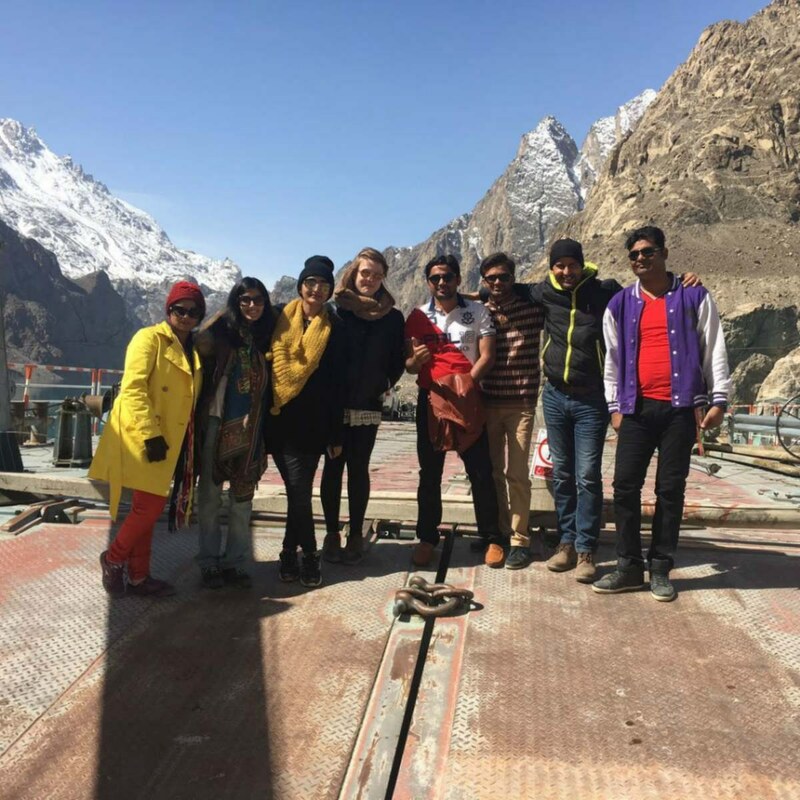 On March 20, we set out for Gojal Valley where the Attabad Lake is situated. 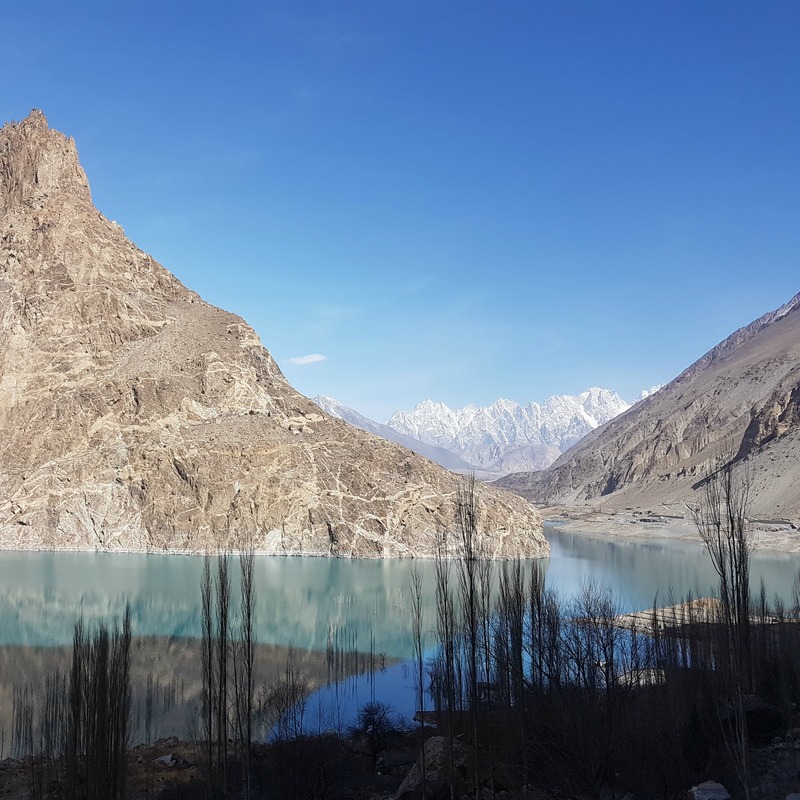 A little background on this beautiful lake: Attabad Lake was formed as a result of the landslide that destroyed many houses and businesses in 2010. 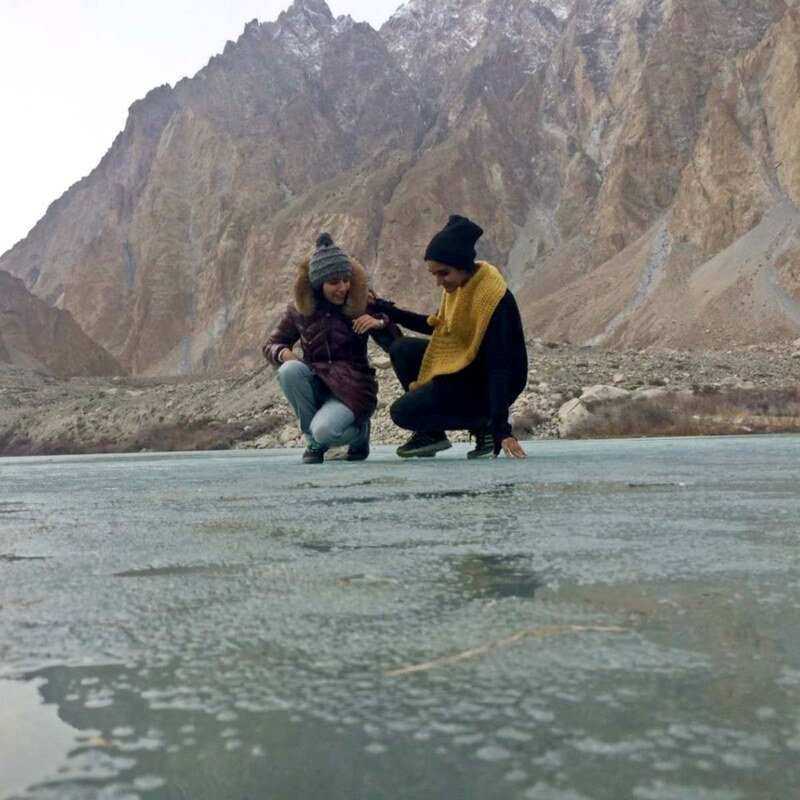 The landslide blocked the flow of Hunza River; the product of this natural catastrophe is an astounding lake, which ripples in dramatic hues of sea blues, greens and turquoise passing through soaring mountains in contrasting tinges of dark browns, blacks and greys. One might say that nature has tried to compensate for what it took away. We passed through the Attabad Tunnel, which is a 7km tunnel divided into parts crafted along the 24km patch of Karakoram Highway. It is also part of the CPEC and is marked with slogans of Pak- China friendship. At the end of the tunnel, on our left, we could see the remaining ruins of Attabad village, many houses still visible under the water. Attabad Lake is popular for its boating facility; in March the water had not completely melted, so the boaters didn’t want to take any risks. 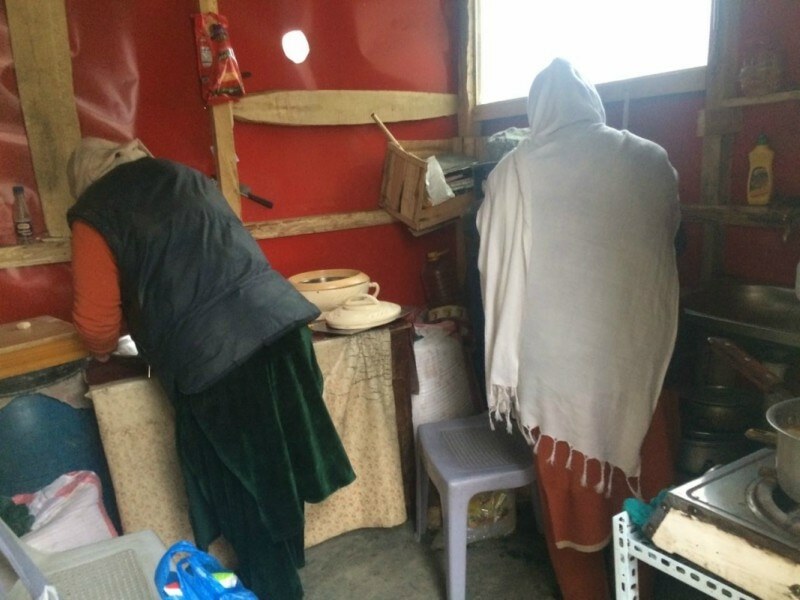 They asked us to get a signed NOC from the Tehsil office of Gulmit, the administrative headquarters of the Gojal Tehsil, which is populated by some 4000 Ismailis. The only reason we entered the small town of Gulmit was to get permission. We were a group of 10 people. As we stopped at the Shishkat checkpoint and ran on the Gulmit Bridge little did I know I was in for a treat. The area’s breathtaking raw beauty, rich heritage and its citizens’ eagerness to keep their culture alive coupled with their kind hospitality destroy all the stereotypes Pakistan has set for itself. As the boys went to obtain the NOC from the office, the women and I explored the area. I was amazed to see the complete lack of rubbish on the roads. The local men roamed the streets, wearing their local caps, leather jackets and rough loafers usually over shalwar kameez or track pants and shirts. They all smiled and nodded as we passed. The women wore traditional Hunzai caps with dupattas, velvet shalwar kameez in bright colours paired with closed shoes, smiling and waving at us. No one seemed to find it odd that us women were travelling alone. 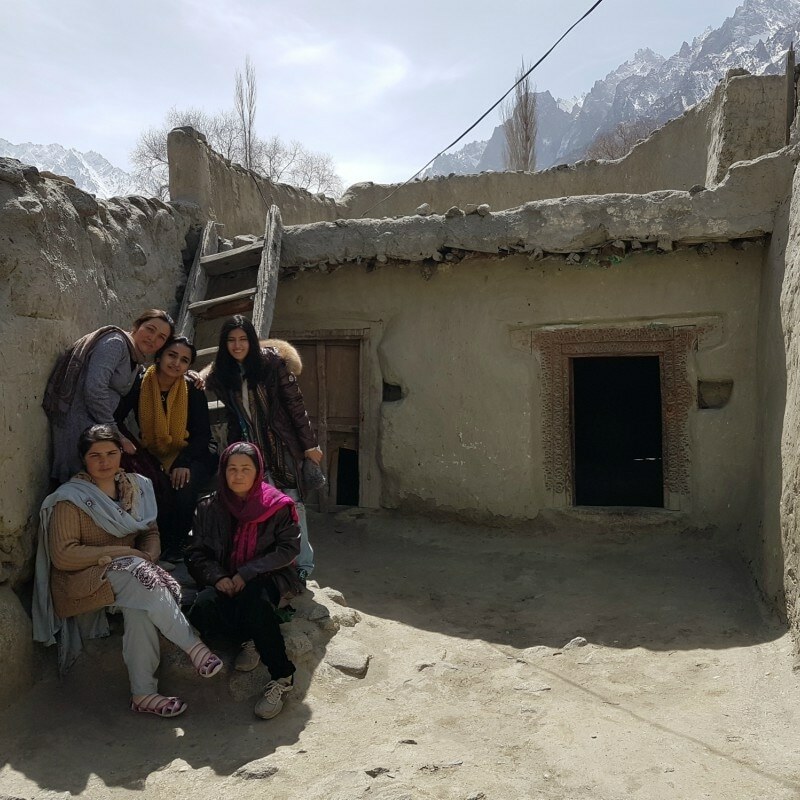 On our right was the bank of the Hunza River, burying the ruins of submerged houses backed with mountains as high as the sky. On our left was the town. Houses made up of stone were scattered through the valley and climbed up the mountains. We saw the board of the Akhuwat Foundation, which is Pakistan’s largest microfinance organisation. We entered a communal area where we saw two women in conversation. We asked them for guidance and one of them accompanied us. 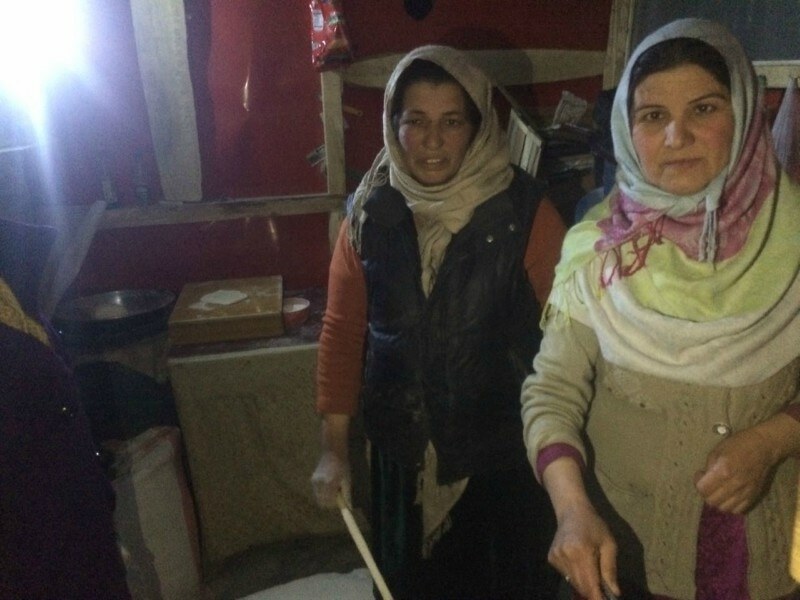 She was a resident of the Attabad Village and had moved here after the landslide, “We had three houses, two hotels. All of them have been taken away by the water,” she told me. A common complaint was that the government hasn’t adequately compensated the people for their loss. At the Akhuwat office, we were told that they provide loans starting from Rs5000 to people for their crops and household among other things. The officer recommended that we check out the women-run carpet centre nearby. Another woman showed us the way. Our travel mates had found us by now and had the approved NOC. We thought we could go on with our journey after a quick stop at the carpet centre. What surprised me here was how the lady, who was in her late twenties, greeted the men in my tour. She shook hands with them. We walked past a school playground, where girls and boys were playing together. The girls were playing football at the far end of the ground and right beside me cricket along with the boys. Some boys were on the swings pushed by girls, some on the see-saw, screaming, laughing and shouting in their local tongue Wakhi. It was a sight for sore eyes. As we went I had to ask her how the town is so spotless, “We have a committee. Every month each resident is given a set of duties, from taking care of the litter to night watches, we all do it together here,” she said. We walked past a school playground, where girls and boys were playing together. The girls were playing football at the far end of the ground and right beside me cricket along with the boys. Some boys were on the swings pushed by girls, some on the see-saw, screaming, laughing and shouting in Wakhi. It was a sight for sore eyes. We continued our walk for five minutes and reached the carpet centre. All the houses in Gulmit village are built in the same traditional Pamiri-style; the architecture can also be seen in the Baltit and Altit forts. The house consists of one very large room, which has an entrance through a lobby. The room comprises of four raised sitting/sleeping areas in its corners and a stove in the middle. A sunroof above the stove makes for a cosy, well lit and warm room. The carpet centre is quartered in a 400-year-old house. We entered the workshop, a large space which looked rather small from the outside. Four large hand-weaving carpet machines stood on all sides, while wool and carpets of all shapes, sizes and colours covered the floor. The ancient handcrafted wooden beams added antique touches to the workshop. Gulmit Carpet Centre (GCC) is run by Aziza Safar, Doulat Qaim and Pari Sultana. It was established in 1998, by Karakorum Area Development Organization (KADO). 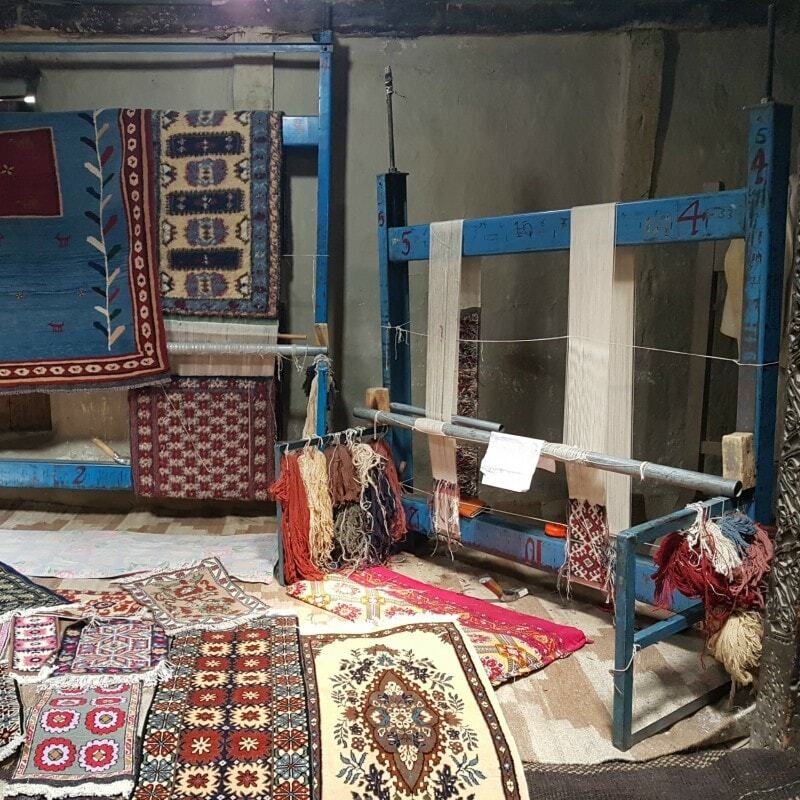 Initially, 28 artisans were taught the art of carpet-weaving by four master trainers, three of whom were from Didar Carpet Centre in Hunza and the other from Afghanistan. After the session, the trainers left the city, but one stayed back to supervise their work for three more years. 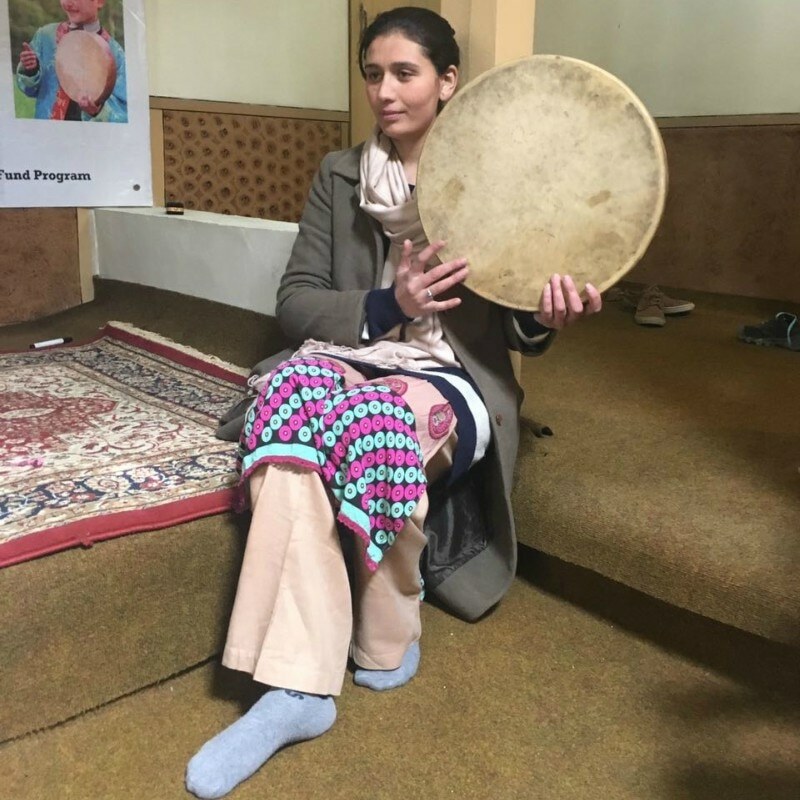 Aziza heads a team of 18 female workers who make handmade carpets, “They taught us everything from how to graft patterns, put them into shape, how to make a business model, sustain it and most importantly promote it,” Aziza proudly tells us. “In our society, the women are treated as equals, so my decision of not getting married has not affected my family,” she reveals. “Even she isn’t married,” Aziza says, while pointing at Doulat who laughs the matter off saying that she hasn’t got time to get married amidst all her duties. Aziza is one of five siblings, she chooses to remain unmarried, run the business and support her family. “I have two special brothers. I didn’t want to burden my parents by leaving them. The business does well, we pay the rent, buy our raw material and display at many exhibitions. I am happy with what I have,” she reveals of her life. She is adamant to grow her business for the betterment of her community. “In our society, the women are treated as equals, so my decision of not getting married has not affected my family,” she reveals. “Even she isn’t married,” she says, while pointing at Doulat who laughs the matter off saying that she hasn’t got time to get married amidst all her duties. The life of women, as well as men of the area, is almost the same, says Aziza, “We wake up in the morning, clean the house, knead the dough, herding our poultry and check the fields where usually the men work after which we come to the centre and make carpets.” The crop of the area is apricot, apples and cherry. She says the men and women are equal in her village, but some men are guilty of becoming lazy, “Sometimes men take women for granted. But that happens very rarely, we can also find the same examples in women,” she laughs. They make carpets as large as six feet or more. A small carpet, 10 inches square, takes about a month to make and 12 of them are made per year. As the length increases, the time taken to make them does too; about three to four women work on large carpets of which three are made in a year. Because of the extreme weather conditions of the area, they dye the threads in summers, stock them for winters and try taking expeditions in winters to sell their artworks across the country. 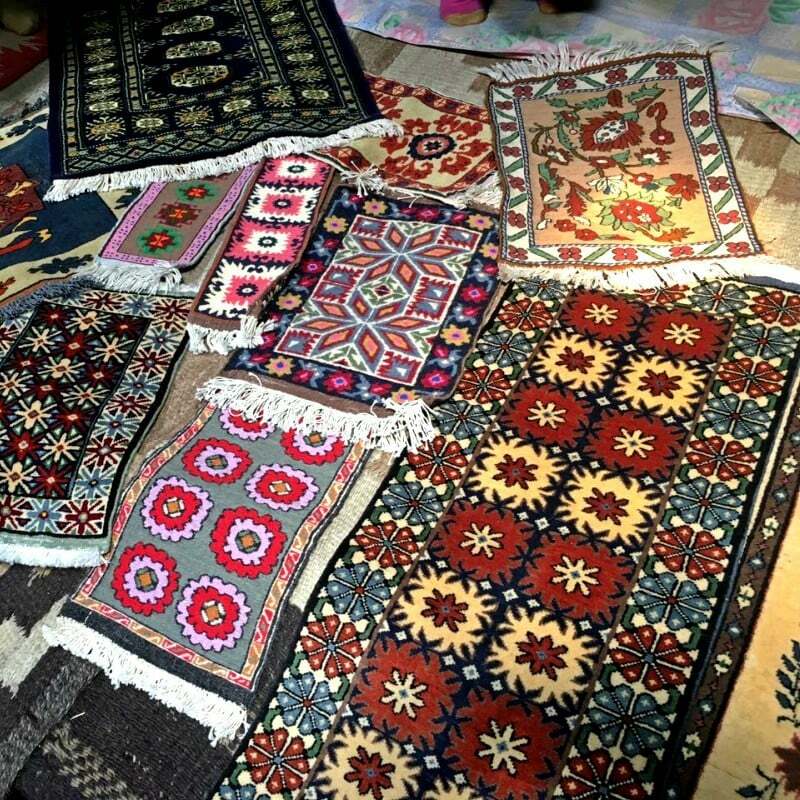 Their carpet prices start at Rs8000, “People think it is expensive, but the effort we put into it is priceless,” states Aziza. The Gulmit women also stitch their own traditional caps while at home, each one takes about a month to complete. The designs, consisting of cultural symbols and vibrant colours, tell the stories of the mountains. Bulbulik refers to the messages which were conveyed through melodies on the highlands of Pamir. They were of happiness and sadness, love and sorrow, winters and summers. The people of the Pamir Mountains lived a life that chimed. The Bulbulik Music School or Heritage Center was being run in collaboration with the USAID. I was shocked to hear that the aid had reached a area even we, urban Pakistanis, weren’t fully aware of. We were introduced to Mr. Abdul Waheed, a warm man who was the project manager. “The Wakhi/ Pamirian languages are endangered and so is the musical culture of the region,” he shared. The first generation incorporated music in their lives, the second moved out due to urbanisation but the third needs to preserve it or else all will be lost, Waheed emphasised. 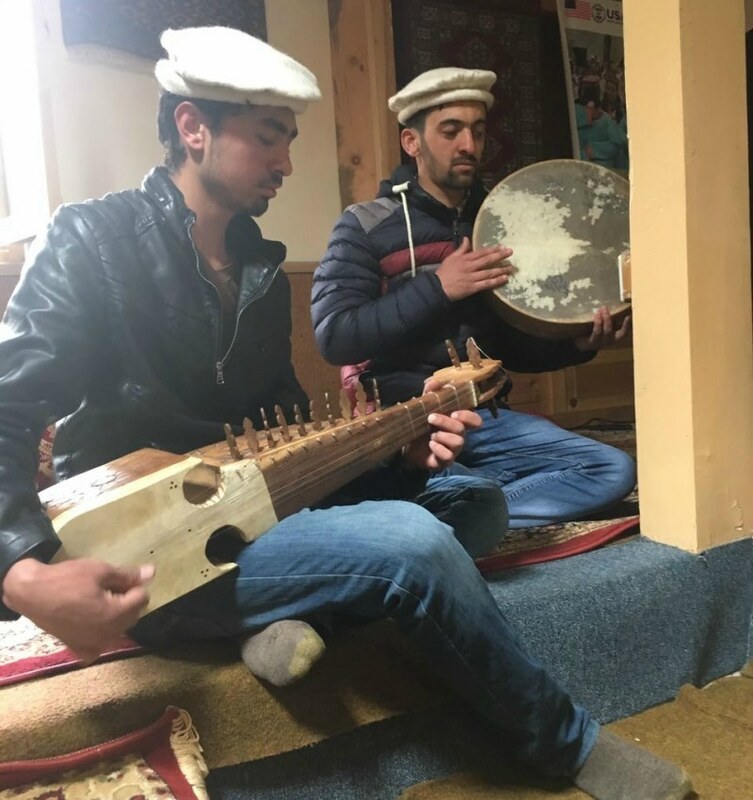 According to him, only one master musician is alive in Gojal, Ustad Rehmat Ullah who plays Ghazxek (a traditional form of violin). The building was new but was constructed in a fashion similar to other houses. A large poster read Bulbulik on one wall, the room was carpeted in red, heaters were kept at each corner and hanging from the walls were classical, traditional musical instruments that encircled the room. I saw the rabab, ghazxek , flute, tambourine, flutes, tumbak and other instruments. In the past year, they had schooled 82 students, out of which 13 students have learnt the endangered ghazxek. Another fun fact was that the male-female ratio was mostly 1:1 but for some instruments, there were more girls than boys, “Our upbringing does not allow for discrimination between men and women. We are Wakhi Pamiri people of the Ismaili sect, our roots travel from Tajikistan to China, our women are as smart as our men. These equality issues consist in the lowlands, not on the roof of the world,” he said with pride. They are also planning to open a programme for students from all over Pakistan who want to learn the traditional instruments. Another historic step is going to be the digitally archiving of their music and Wakhi language. “We are recording songs in Islamabad which we will put online for people to enjoy. We will publish a Wakhi song book with old and new songs and digitise it too,” he shared. After all the chit-chat, the gorgeous looking students struck the cords of the rubab, Ghazxek and thumped the tumbak playing soothing melodies for us. So engrossed were we in the music, we forgot all about the boat ride. For dinner we came back to Gulmit to try their local cuisine at a restaurant ran by two charming and hard working ladies. Bozlanj, the house of Wakhi/Pamirian cuisine, is an eatery made entirely out of tin. The kitchen is only big enough to fit four people at a time and the dining area sufficient for 10 people. It is run by Malika and Shista, who opened the restaurant in 2016 as demand for local cuisine by tourists increased. Needless to say, the women were entrepreneurs as well as homemakers. 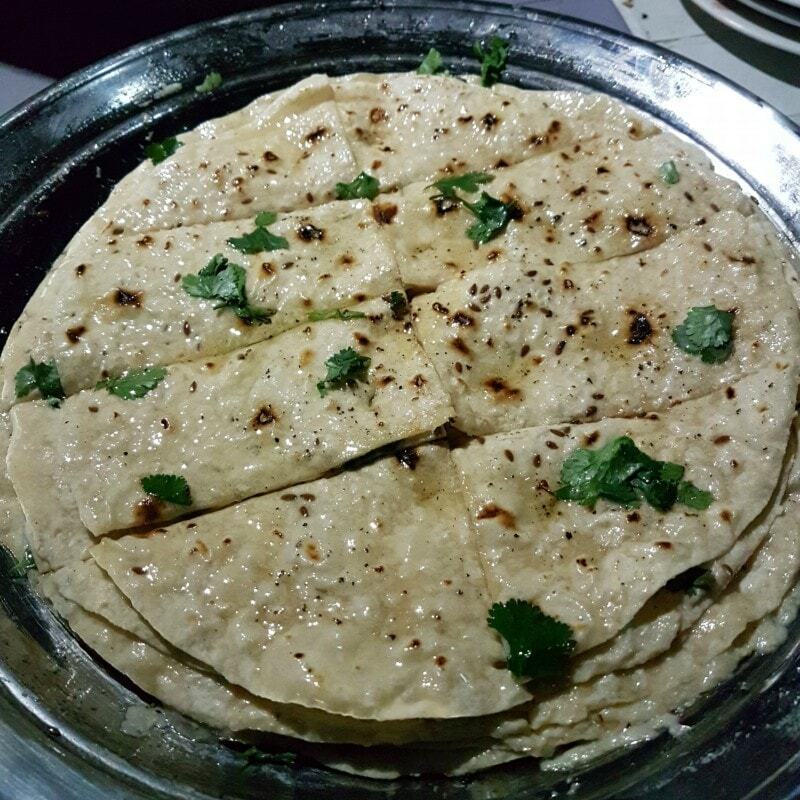 As we sat, they served us layered parathas topped with desi ghee. The parathas had arrived fresh from the stove. Next arrived a plate of Ghilmindi, a type of flat bread that is rolled with sesame seeds and pepper, cooked on a flat pan. It is then layered with apricot oil and homemade cheese. It was dripping with oil, its aroma heavy in the air. It was getting colder as night came, we already had had a paratha each and hungrily dug into the Ghilmindi too. For dessert, we were served Semnex. This was made of wheat, which is soaked in water for 3 months, then dried and cooked. 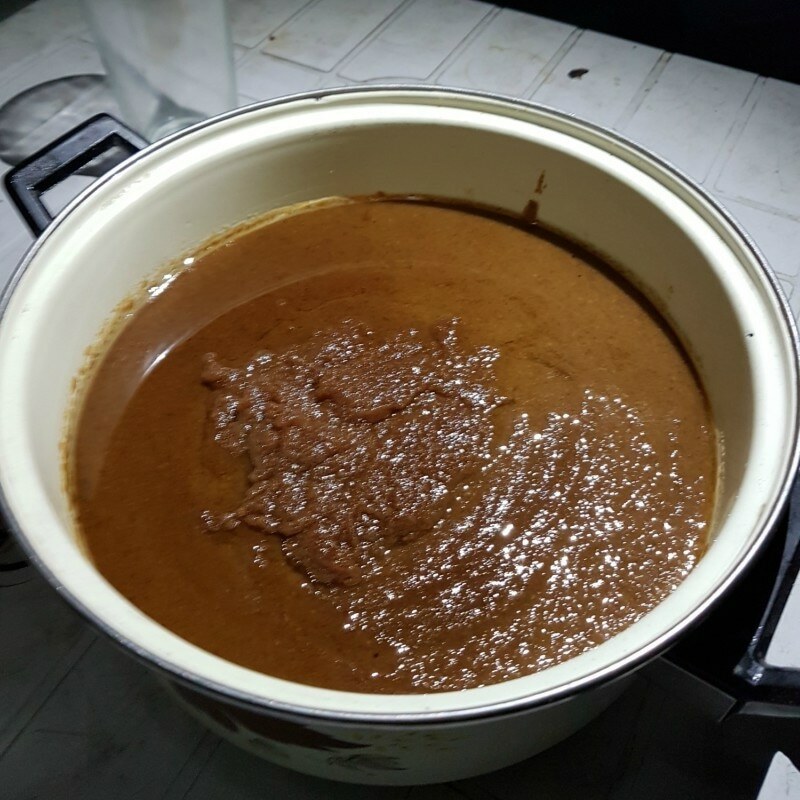 It is reddish brown in colour, cooked in apricot oil and has a naturally sweet taste, no sugar is added in the process. It wasn’t very sweet but the combination of unfamiliar flavours fascinated us. This was our final stop in Gulmit, and as we moved to our next destination, I was struck by the realisation that I had been a guest in a truly model society. The ideal of equality that we were fighting for in Pakistan’s cities is simply part of Gulmit’s cultural fabric. Their customs and inherent respect for each other resonated with my beliefs, which were of a modern day girl, who just wants to be able to walk the streets, run and play. None of my simple desires seem to conflict with the values of their rich culture. I had seen the Pakistan I had dreamt of. Envisioning a better Pakistan, we moved to Karimabad, which too is a locality full of wonder but I’ll leave its stories for some other day.